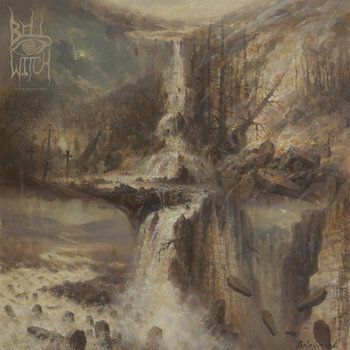 BELL WITCH "Held In Candlelight"
WORMWOOD CHRONICLES: First things first: The name BELL WITCH. My family lived in Adams, TN when my father was born, his side of the family still lives within ½ hour of there, and aside from the Bell Witch cave, believe it or not, there's also a Bell Witch Antique Mall. 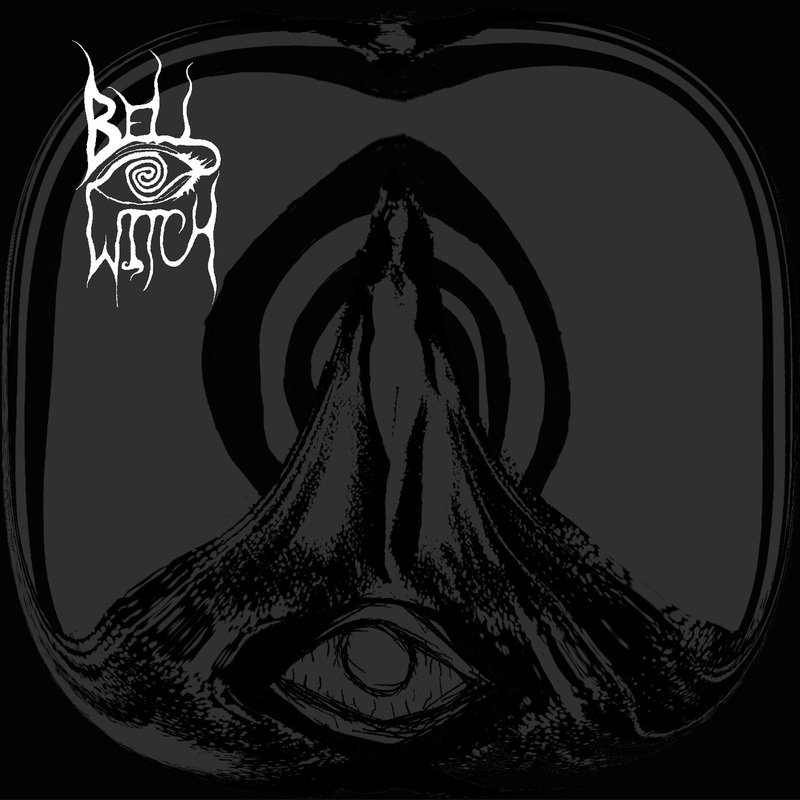 When it came time to decide what to call the band, were you thinking of the Bell Witch story, or is it totally something separate, the term "bell" actually meaning a bell? DYLAN DESMOND: We specifically named the band after the haunting because it's arguably the most infamous ghost story in formal United States history. WC: Was there anything you knew you wanted to bring to the table this time, focus on that maybe you hadn't on the debut? DD: We tried to make the songs more dynamic and give more attention to polishing the song's structures on "Four Phantoms". Further, "Four Phantoms" has more of a conceptual theme than "Longing" did. With "Longing", some of the songs were written with the idea that there was no resolve at their conclusions; they left a sense of longing. This all plays together quite a bit more than "Longing" did. WC: Regarding the cover art, "Four Phantoms" is a much more inherently colorful experience compared to the more stark "Longing". Do you feel the new album to be more expansive, more musically "colorful", or was it merely a case of artwork fitting the mood? DD: I think "Four Phantoms" is definitely more "colorful" in that sense. When we started writing these songs, we'd finished a lot of touring that tightened us up as a two piece. It's a weird thing to get used to! As we were putting riffs together and connecting themes in the song structure, I think we had a much wider palette to choose from than we did when we wrote the songs on "Longing". The artwork does fit nicely in that regard. Paolo [Girardi] is incredible, and when I first got the piece in my email account I was blown away. I knew it would be incredible because he was making it, but it far exceeded my expectations. WC: I may be missing the boat completely here, but it seems that there are 4 separate pieces to the album cover art. DD: There definitely are 4 separate pieces. WC: Though it's not quite the same genre, I got the same feeling from the artwork that I get from GRAVE – "Into The Grave" and DISMEMBER – "Like An Ever Flowing Stream", as well as CANDLEMASS' "Ancient Dreams". How important do you feel packaging/presentation is in today's point-click-play world of rabid consumerism? DD: They're definitely all broad landscapes of sorts with something flowing down the middle, that makes perfect sense. I think there's plenty of artwork out there that is forgettable. I may not be the most visually inclined person, but really good artwork on an album sticks out to me. Ideally it even gives more meaning to the music inside it. I wouldn't say bad artwork detracts from the music, but it doesn't necessarily add to it. WC: Is there anything you feel you have to look at differently based on only having the 2 instruments to rely on when it comes to the writing phase? DD: My goal here is to make the bass sound like a string section, as opposed to one instrument. I play melodies by tapping them on the higher strings of my bass while holding chords on the lower. A lot of the time folks mistake this for having a guitarist or loop track, though neither is the case. WC: Name 2 things you learned about the recording process during "Four Phantoms" that you hadn't known before, or were reaffirmed to you during that time. DD: I had a nasty fever while we were recording "Four Phantoms", so I felt like I was a zombie in the corner for a lot of it! Working with Billy Anderson was incredible though, as he's not only one of the most experienced in the field for the underground heavy metal genre, but he's one of the most creative. We played with a lot of combinations of amps/cabinets that was something new to me. In that, the blending of voices was fascinating to hear unfold. I think I can speak for both Adrian [Guerra, drums/vocals] and myself when I say that the sounds he pulled from the drums was shocking; there are certain hits on the record that make me feel like my chest is caving in, and I think I've heard it more than anyone (except of course Adrian and Billy). WC: Erik Moggridge is back on a track from "Four Phantoms". What do you feel it is about his voice that lends itself to what you're doing? DD: Erik is among my favorite vocalists in the world, which makes it an honor to work with him over and over. The way he voices words to the complexity of the lyrics he writes has always been something I've admired and looked up to. His ability to step into a song with little direction and form heartfelt and soulful additions is incredible. I think he can write a pass that, to me, at a very minimal and primal level expresses brutal honesty, struggle, and striking beauty all at once. I believe there is a very honest are bared pain to Erik's voice that I don't hear in other musicians. WC: Why were the movements (Suffocation and Judgement) separated in the playing order? As an old school vinyl hound, you know I'm going to have to program my CD player to order the tracks 1-3-2-4 in order to get the full (un)intended effect. DD: We were trying to separate the longer and shorter songs to fit the vinyl format; each record gets on movement of the two songs featured on the record. The two Judgement tracks has such a resemblance to each other that we felt it was best they were separated for effect too. We felt it made for a good reprise to end the album with, especially after the two 20+ minute Suffocation movements. WC: Lyrically, what – if anything – is the theme of the album? There seems to be a catharsis, a turmoil being examined within the framework. DD: The four tracks, two songs in two movements, are referencing the classical elements; earth, fire, water, air. Each element is attached to a specific ghost's story, examining its plight. We're approaching ghost stories as have a striking similarity to subconscious expressions of trauma; disconnection, delusion, agony, a looming sensation of being trapped without the possibility of escaping. This theme is intended to be referenced both in the lyrics as well as the artwork and the song structures themselves. WC: How does the live experience play out as a duo? DD: It's a much more intimate experience playing as a duet than a trio or four piece. One big factor is the element of mistakes or errors in playing; they're painfully obvious and loud. There is no guitar or keyboard to block out the sound of a misplaced drum hit or a bad note from the bass. Adrian and I have to communicate a lot on stage to keep in time or to anticipate the next hit, as often times the tempo fluctuates slightly from note to note. WC: What do you think it is that draws us as a species towards thoughts of our demise, of the end? Nature, animals (that we know of) don't dwell on their eventual death. They live completely in the "now", in the present. Do you think we could learn something from them in that regard? DD: I think part of it is identifying our own mortality. Another element could be fear of that idea, with the confusion on how to express it. I think there is plenty to learn from the zen of other animals in that regard, however that is also their unique experience. I think there is something tragic and beautiful about our human fear of death. Like a funeral, it can serve to celebrate life and the intensity of its positive and negative sensations. WC: Is there something you would like to see humanity in general come to a realization on, some axis shift in thinking/perception that may better our existence? DD: I'm not sure I think my opinion is valid on the level of humanity, but like everyone else I have my own feelings on politics and social issues. I suppose it's fair for me to say I think anyone alive should honor whatever they believe is worthy of fighting for by examining it as thoroughly as they can. I believe blood, sweat, and tears are the path for that, and losing is of as much importance as winning.